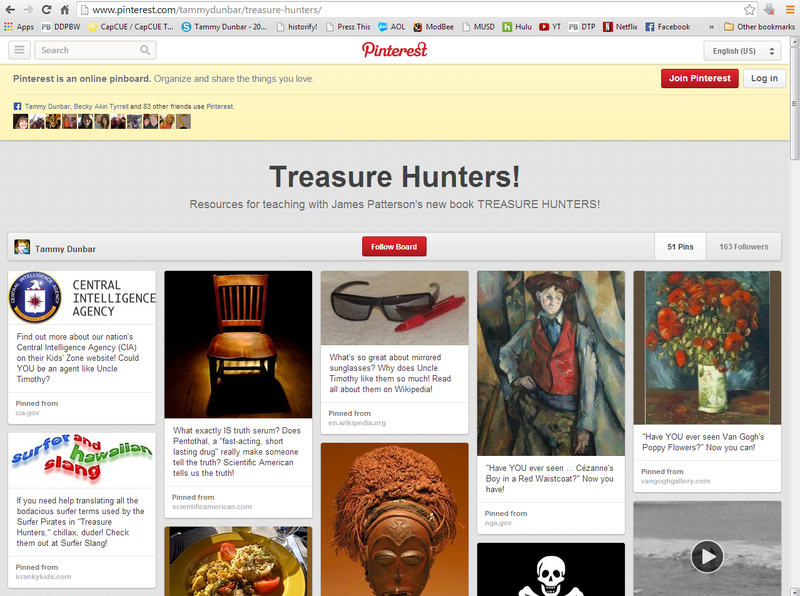 Pinterest Page for “Treasure Hunters” supports great Common Core lessons! 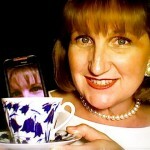 | Teacher Geek is Chic! If you have already ordered your copy of James Patterson’s great new young adult novel “Treasure Hunters,“ you’ve probably already finished reading it and want to figure out how to use it to teach Common Core lessons! Check out my “Treasure Hunters” Pinterest page, featuring links to many of the amazing cross-curriculum subjects Patterson puts so carefully into his Treasure Chest! “Treasure Hunters” is like a year’s worth of Humanities lessons wrapped in a rollicking good story! Let your students choose one link to study and report back on in any format he/she chooses. In my class, students usually have their choice of formats, including (but not exclusive to) PowerPoint, Keynote, Haiku Deck, Animoto, GlogsterEDU, iMovie, Microsoft Movie Maker, YouTube Video Editor or any other digital program they might like to learn as well as good old pencil, pen, paper and poster board! Giving students choice in what they want to learn and how they want to report gives them ownership of their report and enthusiasm for it as well!